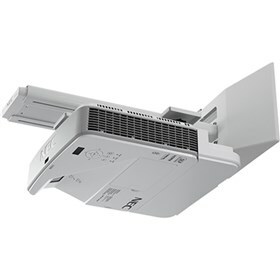 The NEC NP-U321H is 3200-lumen DLP ultra short throw projector with wall mount, comprehensive input/output panel and ECO Mode™ technology. The projector has keystone correction technology, sleep timer and microphone input. It features USB viewer, advanced AccuBlend, AutoSense and variable audio-out. The NP-U321H also features auto power on, closed captioning and virtual remote. It provides new interactive system utilizing dual pens and auto cailbration, wireless image utility and quick power-off. You can get remote monitoring and control of projector over network saving IT employee time and reduces costs related to projector operation. The NEC NP-U321H has many exciting features for users of all types. See the NEC NP-U321H gallery images above for more product views. The NEC NP-U321H is sold as a Brand New Unopened Item.